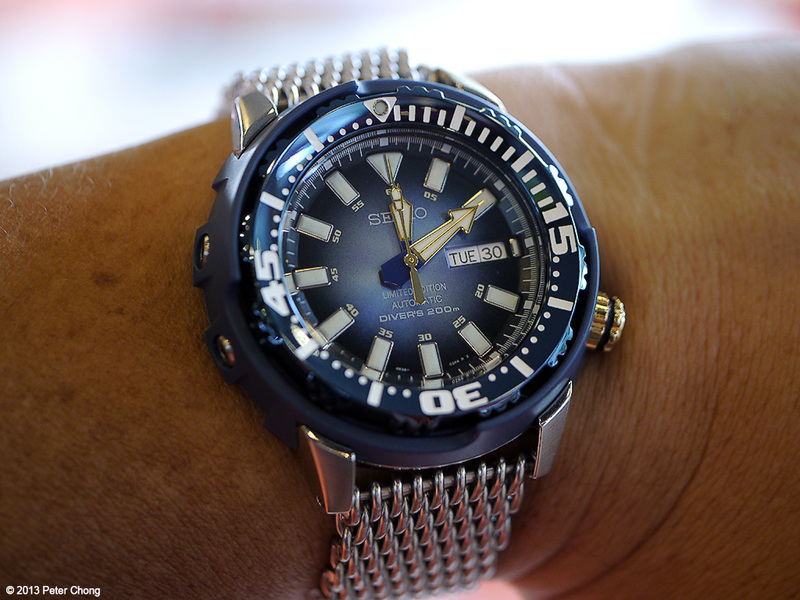 Seiko watches are always interesting. I have featured some from my personal collection which are Grand Seikos...which I believe are probably the best value for money in the high end watch market today. But today's feature is on a rather more modest Seiko. 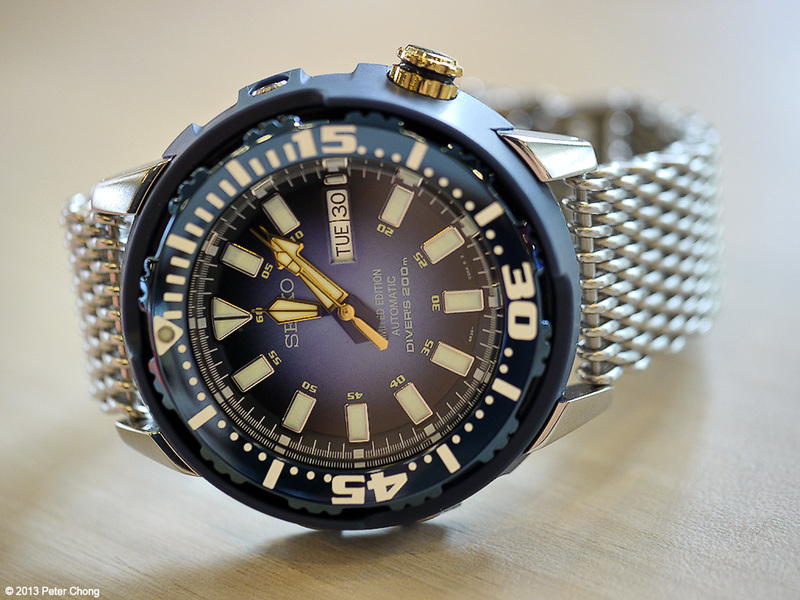 A dive watch, nicknamed by fans The Baby Tuna. Known officially as SRP453K1, the watch looks rather large, but at 42.5mm diameter, including the shroud, it is not really a huge watch by today's standards. The bezel, shroud and dial has a very beautiful blue hue...quite a beauty. 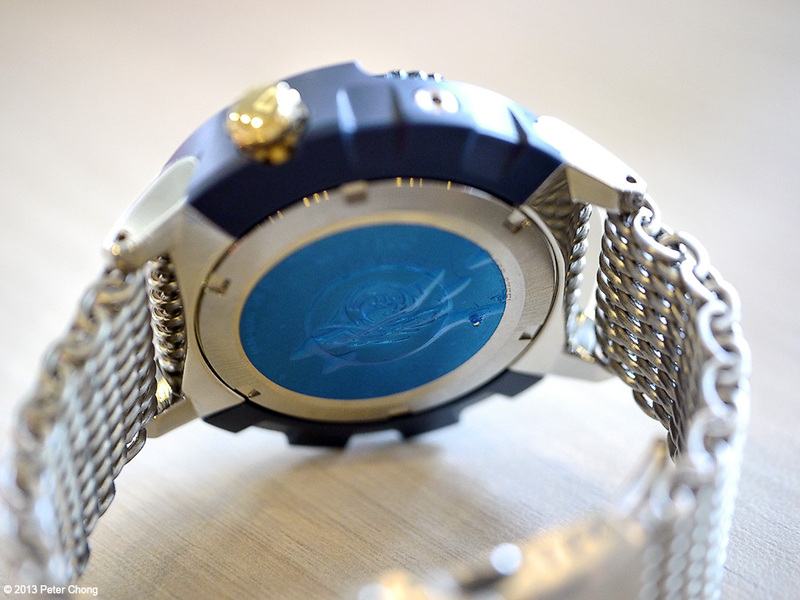 The back of the watch, showing the insignia in blue. The watch is rated for diving up to 200m. The movement is an automatic Seiko Cal 4R36. 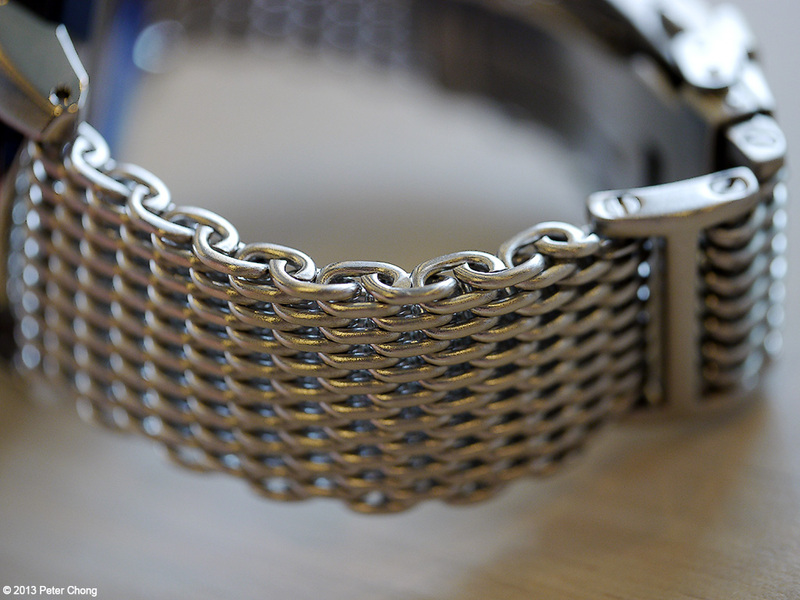 This watch is owned by my good friend Lionel who put it on an after market stainless steel mesh bracelet. On the wrist...looks rather perfect. Yes Derek...at the canteen table in Ngee Ann Poly.